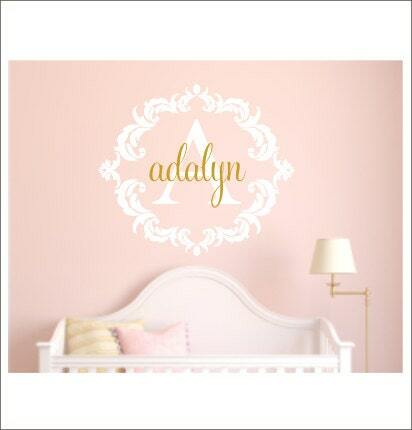 This gorgeous decal would be the perfect finishing touch in any nursery or bedroom! Cut from the highest quality indoor matte finish vinyl (Oracal 631) it will give you the look of three coats of paint, but without the time or mess! Decal set will come to you in two separate pieces (border/initial is one piece, name is second) for you to layer/apply as you wish. Decal is 23"H x 26"W.
Please make color selections from drop down menus. ***PLEASE NOTE***Name is all lowercase in example! I can make it lowercase, or with an uppercase first letter. PLEASE be sure to type name in the notes to seller box in the EXACT format you want it to read. 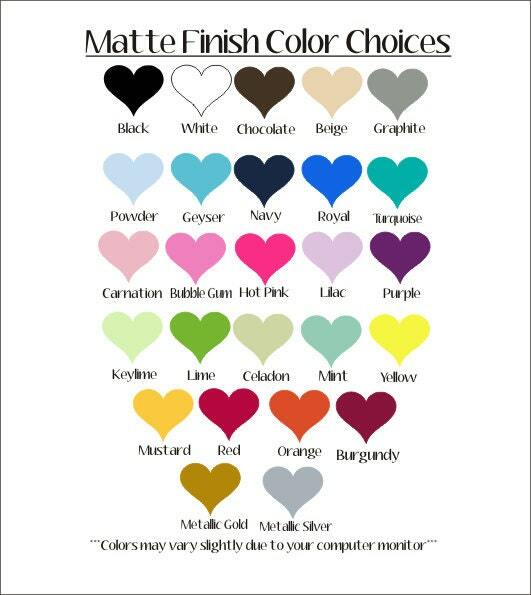 This is very important, as this is how your decal will appear! Arrived quickly in perfect condition. It's even prettier than expected! Love how it looks in my daughters room. So happy with this purchase! Turned out beautiful! Thank you so much for great customer service! It looks so beautiful!! Thank you!